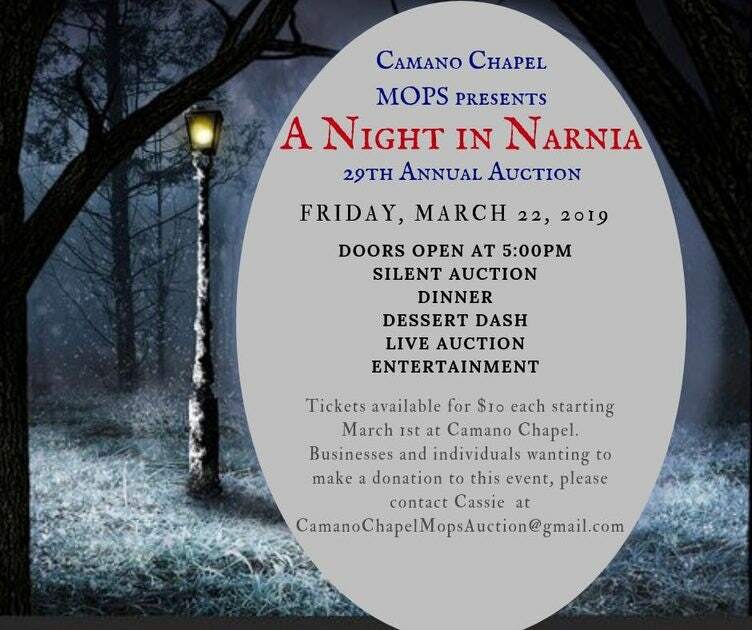 Come help support Camano Chapel’s MOPS (Mothers of Preschoolers) program at their annual fundraising auction which will be held on Friday, March 22nd, 2019 at 5:00 pm. Enjoy dinner, dessert, live entertainment and a live auction! This is a family friendly event so bring the kids along with you! Cost is $10 per person.